TitleMr.Mrs.MSMiss Please leave this field empty. Professional home and office moving services from Oxford movers. If you’re looking for a tried and trusted office moving company in Oxford, you’re in the right place. 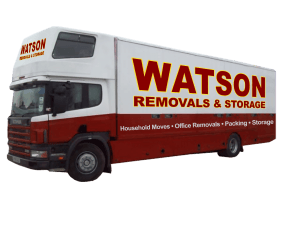 Here at Watson Removals Oxford, we’ve been offering a professional and fairly priced removals service to local businesses for over thirty years. In that time we’ve earned a reputation for reliability and putting the needs of the customer at the heart of our business. This is not just another sales pitch, as our record speaks for itself, so whether you’re a small independent trader looking to move to a bigger site, a medium size company relocating, or a large enterprise opening a new branch, we can help you get all your stock, office equipment and furniture safely from A to B. As a modern removals business, we understand that time is money and will work with you to minimise any disruption to your normal operation. If this means arranging the move outside of office hours or at weekends because it’s more convenient for you, we’ll do all we can to help. Our team will also arrive punctually at the scheduled time to carry out the move efficiently and without any fuss. 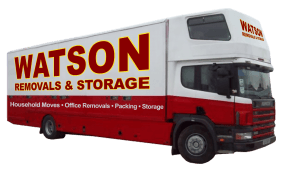 We’re happy to consider all types of commercial removals in Oxford and the surrounding area, whether you’re planning a complete office relocation or simply need a man-and-a-van service to move a desk and some computers across town. We run a modern fleet of well-maintained removals vans, equipped for every type of move. Our staff are fully trained and insured and are experienced in handling all kinds of office equipment, including desks and workstations, computers, copiers, printers, tills, and everything else a modern business needs. You have our assurance that at every stage of the move, your goods will be treated with care and respect and be delivered to the new location in their original condition. We also provide a full packaging service on request and if you do need to store some items at any point, we offer secure storage solutions on very reasonable terms. The prospect of moving your office or commercial operation to another site can seem pretty daunting, but with our help, you’ll soon be up and running in your new location. Want to know how much all this will cost? Simply tell us where and when you want to move and you can request a free online quote today. We’re confident you’ll like our prices, and we look forward to being of service. Trusted removals company based in Oxford, provides domestic and commercial removals service in and around the Oxfordshire area. © Copyright 2018 Watson Removals Oxford. All rights reserved.